Laughing Buddha (Matreiya in Buddhism) is the ultimate symbol of happiness . He plays the role to take away your problems, worries, stress, anger, pressure and sadness. 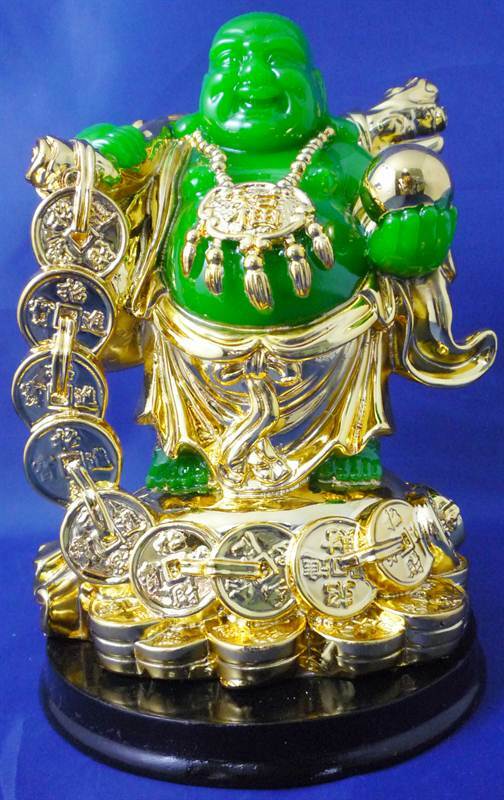 Laughing Buddha also brings wonderful fortune, prosperity and wealth luck to household, office and businesses. The presence of his symbol rejuvenates inauspicious chi, filled with tension, into the blessings of harmony. Today, the Laughing Buddha has become so popular that the symbol is placed at receptions, cashier counters, living rooms, hotel lobbies, temples, and most business premises in Asia.